The Gluten-Free Jet Set team has visited the Raleigh/Durham area several times over the years, and we are always impressed at the number and variety of gluten-free options in both cities. 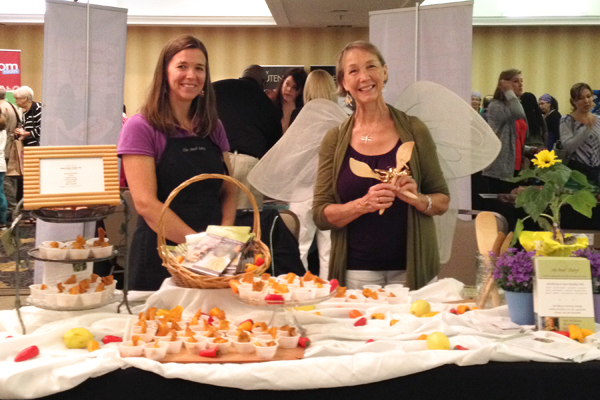 At the Gluten & Allergen Free Wellness Event Raleigh on August 9th, we couldn’t wait to meet local gluten-free producers, learn more about the Triangle area’s gluten-free community, and check in with some of our favorite national brands. Following is a recap of some of the best local and national finds from the event. We look forward to working on in-depth reviews of some of our favorite travel-ready products and Triangle-area food in the coming weeks! 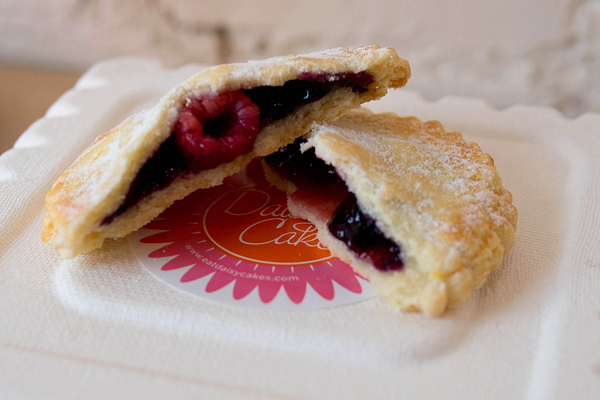 DaisyCakes is one of the best things about Durham, hands down. This lovely café turns out impressive numbers of omelets and cupcakes on any given Saturday morning, and thanks to pastry chef Tanya Matta, DaisyCakes also bakes incredible gluten-free pastries. This spot now sells its gluten-free flour mixes as well, under the label Equal Measure. If you’re in Durham, don’t miss your chance to sample the best hand pies, bread puddings, tarts, and cookies you’ve ever laid eyes on. Primal Food & Spirits is Durham’s new 100% gluten-free restaurant, and it’s just as amazing as it sounds. From grilled octopus to slow-roasted ribs to Southern grits, Primal has it all. This spot is a must for any Durham resident or visitor, and we can’t wait to share a full review of the restaurant later this week. Good gluten-free pizza can be tough to find, but Bella Monica does it right, with a perfectly chewy-crispy crust, a just-right sauce, and plenty of cheese. Their friendly pizza mongers also had the best outfits, complete with pizza hats. Bella Monica’s frozen pizzas are available for sale, and there’s even a restaurant location in Raleigh. A pizza-inspired road trip to Raleigh is definitely in our near future. By some miraculous twist of fate, Durham is also home to Bang Bang Banh Mi, a 100% gluten-free Vietnamese food truck. 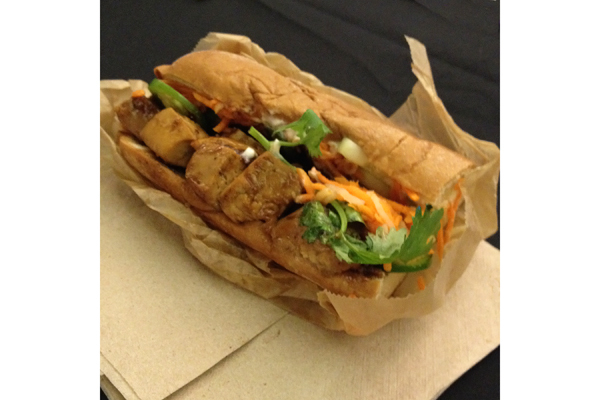 When the truck stopped by the expo, we jumped at the chance to try the tofu banh mi, which was out of this world. The tofu was perfectly marinated and topped with slaw and herbs, and the fluffy baguette soaked up all of the tasty sauce. Find Bang Bang Banh Mi on Twitter to discover their daily locations. Make sure to try the banh mi, pho, and the rest of the gluten-free menu. Every day is better with cheesecake, and Royal Cheesecake & Varieties makes delicious gluten-free versions, crustless or with a macadamia crust. This cheesecake is rich and creamy, just as it should be, and RCV Cakes sells these tasty morsels in individual cupcake-sized portions. Pick up one of their dozen or so varieties at the Midtown Farmers Market in Raleigh on Saturdays, or order cheesecake, cupcakes, and brownies through their website. 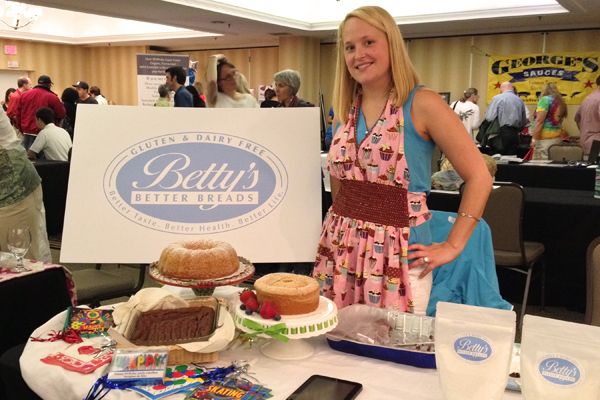 Betty’s Better Breads launched after winning the Carolina Challenge startup competition, and the company has been growing ever since. Betty develops gluten-free recipes and mixes from original family recipes, allowing gluten- and dairy-free eaters to enjoy safe versions of the sweets they grew up loving. Cakes by the slice and cake mixes are available at several markets and shops in the Triangle area, and Betty also arranges convenient local pickups. 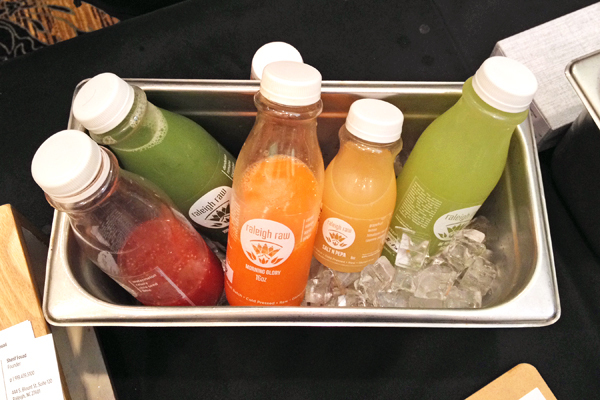 After a day of indulging in sweets, meeting the folks behind Raleigh Raw was a bit of a relief. These guys make seriously delicious cold-pressed juice blends, some with chia or nuts, and some with straight fruits, vegetables, and herbs. Our favorite is Summer in the City, which features watermelon, celery, lime, and chia and is super refreshing. Good news for busy people: Raleigh Raw delivers! We know firsthand how hard it can be to find gluten-free or allergen-free food while traveling. YoDish is changing that with a mobile app that allows users to input allergens into a restaurant search engine. We love the concept and will be contributing Gluten-Free Jet Set approved reviews to the app, so that other gluten-free travelers can find safe, healthy food, too. Look for the iPhone app in the Apple Store, and keep an eye out for a major YoDish update soon. The Food Fairy will work magic in your kitchen. Terri McClernon offers menu planning, personal chef services, classes, and workshops. The Food Fairy emphasizes fun and efficiency with cooking, and her cook-along DVD teaches viewers how to cook once and eat for weeks. Contact her for true eating empowerment! Now available at Whole Foods Markets around the US, Whole Foods GlutenFree Bakehouse line features delicious cakes, pies, bread, and stuffing. 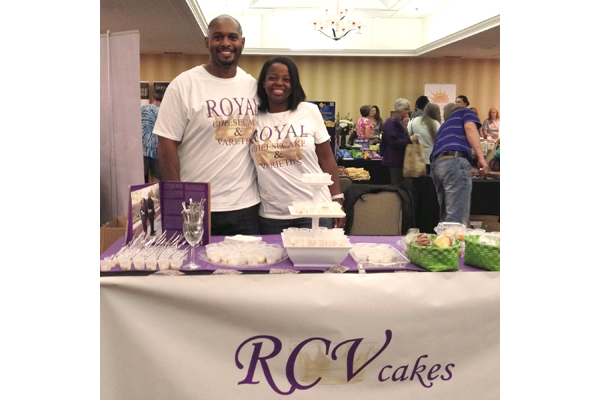 Cakes, especially this vanilla confetti cake, were the hot item at the Raleigh event. Find these at Whole Foods Markets in the freezer section. It’s no secret that Bakery on Main makes some of our favorite breakfast and snack items. We never leave home without a packet or two of their stick-to-your-ribs oatmeal, and their granola is a deliciously satisfying travel snack. Even though we’ve already tried and loved everything Bakery on Main, we couldn’t resist stopping by for a few granola samples to get us through the day! Enjoy Life produces an impressive line of allergen-free snacks and cereals that are great for folks managing multiple allergies. We are big fans of the cherry cobbler bars and Plentils (lentil chips), and we were excited to add more products to our list of favorites. Now we’re fans of Perky’s Crunchy Flax Cereal, which is a great crunchy topping for your morning yogurt. Udi’s is our go-to for gluten-free bread, tortillas, and pizza crust. 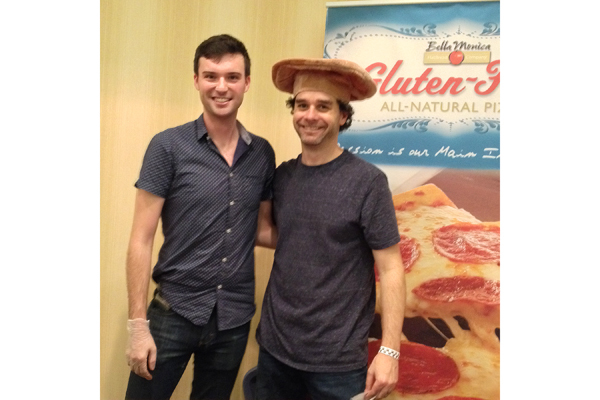 A major supporter of the international gluten-free community, Udi’s never ceases to amaze. We’ll be sharing a review of their tasty granola bars very soon. A taste of New Planet Pale Ale and Estrella Daura Damm, the Spanish gluten-free beer, was the ideal way to toast a great event. Cheers to many new gluten-free friends and to many more gluten-free expos to come! 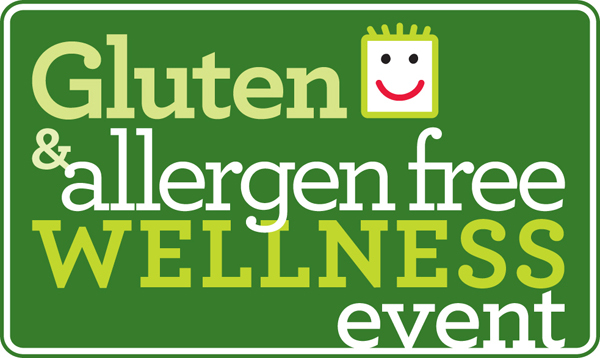 All Gluten & Allergen Free Wellness Events feature brilliant and inspiring speakers, and the Raleigh event was no exception. Speakers included Carol Kicinski, Founder and Editor in Chief of Simply Gluten-Free, a wonderfully informative and recipe-packed magazine; Jennifer Fugo, founder of Gluten Free School, which empowers readers to get and stay healthy through a gluten-free diet; Chandice Probst of Gluten Free Frenzy, an amazingly fun gluten-free giveaway site; Pam Jordan of I’m a Celiac, which features weekly meal plans and recipes perfect for gluten-free families; and Tiffany Hinton of GF Mom Certified, who creates delicious family-inspired gluten-free recipes. 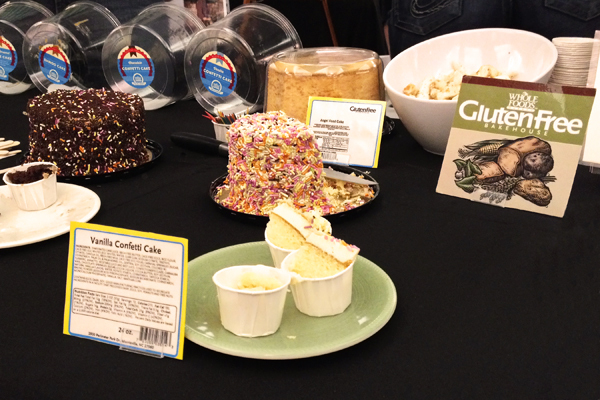 No gluten-free expo is complete without plenty of gluten-free friends. It was so great to get to know several new GFF and gluten-free bloggers at the Raleigh event, including Tarah of Allergic Traveler, April of Gluten Hates Me, Heather of Eat Play Win, and Jeff of Gluten Free in NC. I can’t wait to get together again soon! 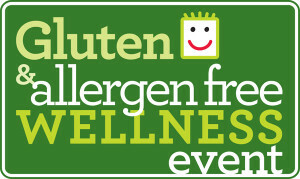 With events scheduled all along the east coast in 2014 and 2015, there’s bound to be a Gluten & Allergen Free Wellness Event in your area soon. Check out the schedule and reserve your tickets in advance here!